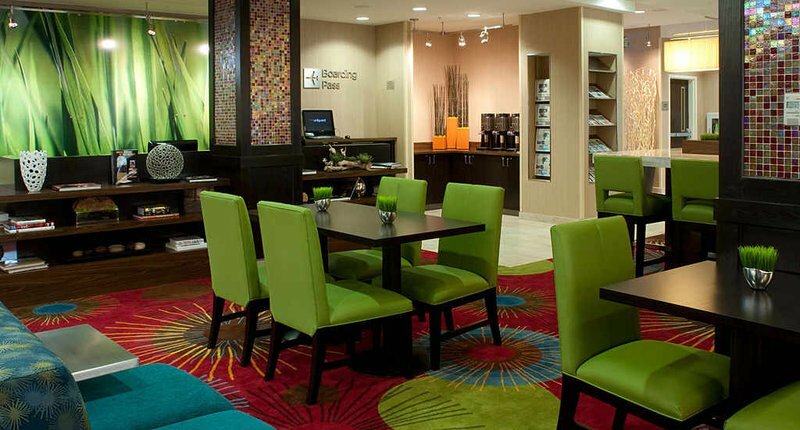 Conveniently located in the Deco District of downtown Tulsa, the Courtyard Tulsa Downtown by Marriott is a 12 floor hotel with 111 rooms and a wide range of activities, amenities and dining options for a memorable trip in Tulsa. It is minutes from golf, bowling, hiking, horseback riding, mountain biking and hiking, so you’ll never run out of things to do during your stay. It is a non-smoking hotel and offers wireless internet in guest rooms. 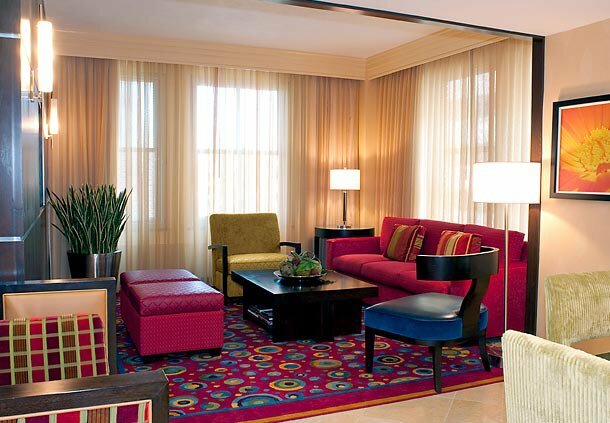 The Courtyard Marriott has one and two bed rooms available with either queen or king-sized beds. There are also suites with multiple rooms. Each spacious room has a large desk, high definition flat screen televisions, iPod docking stations and walk-in glass showers in the king guestrooms. Guest rooms include individual climate control, coffee makers, mini fridges, irons and ironing boards, hair dryers and alarm clocks. 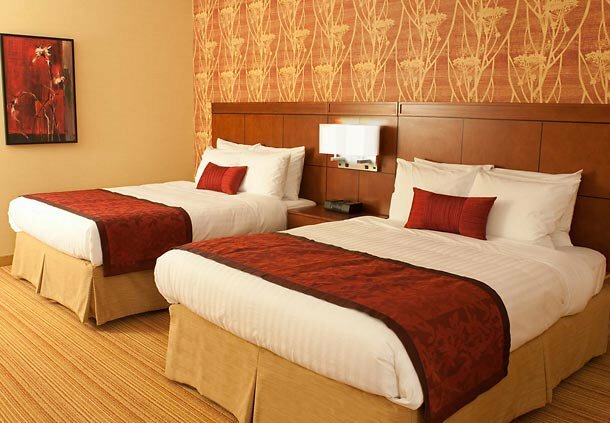 The luxury bedding with each room has thicker mattresses, custom comforters, down pillows, foam pillows and crisp linens. Each room has cable television and a phone. Eat at The Bistro or Atlas Grill for convenience. Both are open for breakfast and lunch, and The Bistro also serves dinner and has a variety of beer and wine options. The Bistro’s specialty breakfast beverages are made with Starbucks coffee, and the New Atlas Grill offers daily lunch specials. 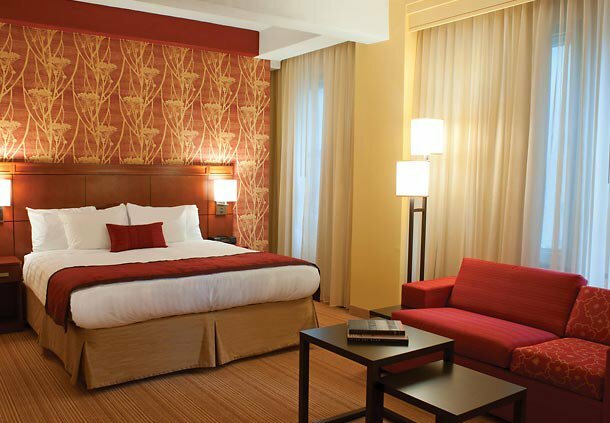 For excellent guest services, comfortable rooms and the best amenities, stay at the Courtyard Tulsa Downtown Marriott. Check-in is at 3pm; Check-out is at 12pm. 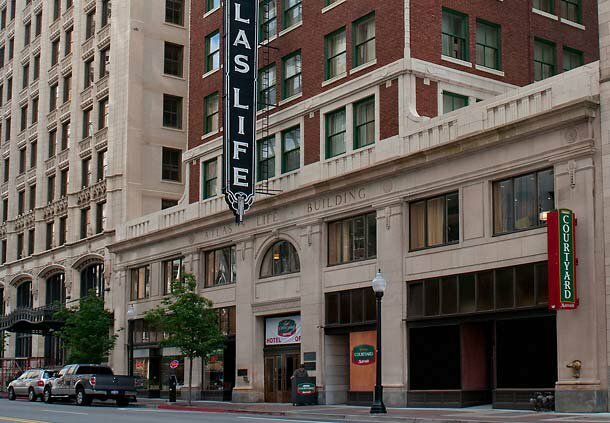 Located in downtown Tulsa on Boston Ave between 5th & 4th St.